2011’s Top Three Most Viewed Blog Posts Linky Party! 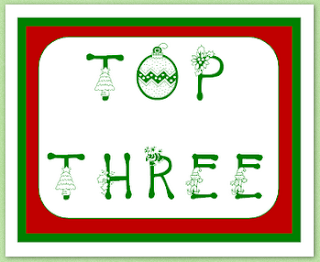 from more than 50 teacher blogs. "The Best of Teacher Entrepreneurs." 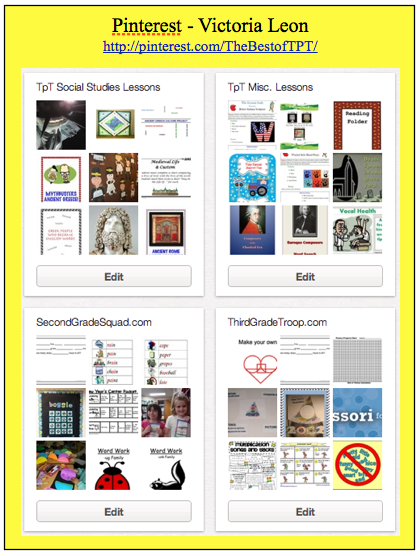 It displays free products and products for sale from the best teacher-authors of www.teacherspayteachers.com. when you celebrate holidays with your students. 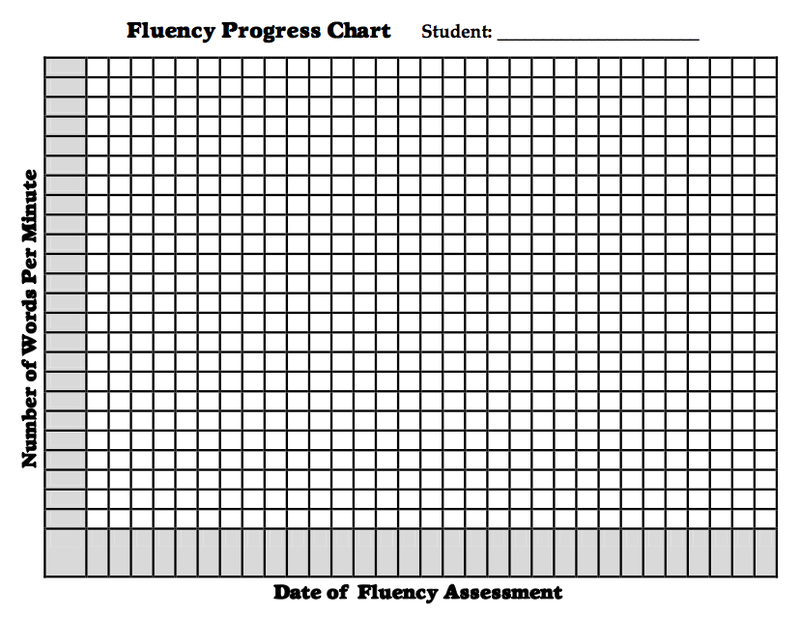 Do you have students who need regular fluency check-ups? Visual representations of growth and progress are powerful influences on student motivation and allow for opportunities of celebrating growth as readers! 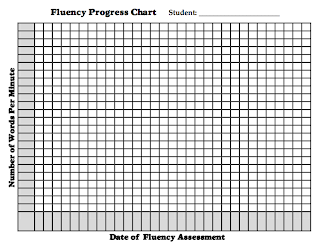 **Use these graphs in conjunction with my FREE "What is Fluency?" Student Reference Sheet. Prioritize what needs to get done. Look at the whole picture, but also keep in mind what needs to get done TODAY! It’s okay to put some things off until tomorrow. Don’t let your grading get the best of you. Grade a little each day and it won’t pile up. Make the day fun for you and your students. Get creative! Search for fun lessons on the Internet by visiting websites like Teachers Pay Teachers. Collaborate with your coworkers. The best ideas might be hiding out in the room next door. 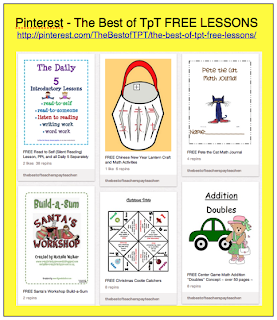 Participate in a ‘get one, give one’ lesson exchange. You take a lesson and then you get a lesson in return. Make a student feel special. Pick a child each day and tell them something positive. Put a smile on their face by leaving them an award on their desk or even just a sticker to display. Sometimes we get so caught up in the negative, we forget to focus on the positive. Don’t stay late every day! Remember, you either have a family to get home to, or you need to have some ‘me’ time. I used to be a stay-later and then I got my priorities straight. I am a 100% teacher from 7:30-4:00 and then I have one stay-late day per week. It can make you a better teacher if you leave!! Don’t get caught up in what I call teacher-gripe! Some things that we teachers want to gripe about will simply not change, no matter how much we dislike it and no matter how much time goes by. Get that room clean. As the kids come back after the start of the New Year, have them clean their desks out. I mean really clean them. I have students take the Lysol wipes to the inside of the desk. A clean desk can help clear the mind. Kids will be ready to perform in 2012. Change something up in the classroom for the second half of the year. Whether it’s your discipline program, your bulletin board, or something else. It will add excitement to the remainder of the year. My teaching neighbor and I are going to start doing a fun Friday the last Friday of the month for good behavior. Teach!……oh yeah, that’s the number one tip, right? Teach with your heart and everything else will fall in place. If you like the Guided Reading Lessons – TEKS – Grades 4 and 5, please go to my website (www.readingwarmupsandmore.com) to view and purchase additional products for TAKS and TEKS reading practice. To only teacher-authors on the Teachers Pay Teachers' Seller's Forum: Feel free to cut and paste this submission to your blog, website, and/or promotional item...you just cannot sell it for profit. Permission was granted on the Seller's Forum on July 7, 2011...Selling Tips...Blog, Sqworl, &TpT Products Page = FREE ADVERTISING! 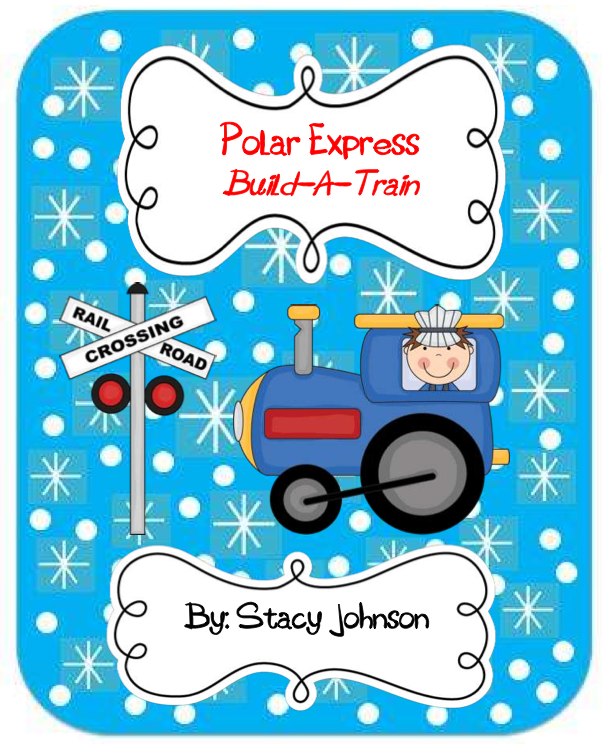 This is an activity that will be part of my Polar Express Unit when it is completed so check back soon. Students use shapes to make a train then write the steps they took to complete it. My students always seem to struggle with the concept what number comes before, after, or between. To help combat this issue, I'm creating these centers to allow students the opportunity to practice. 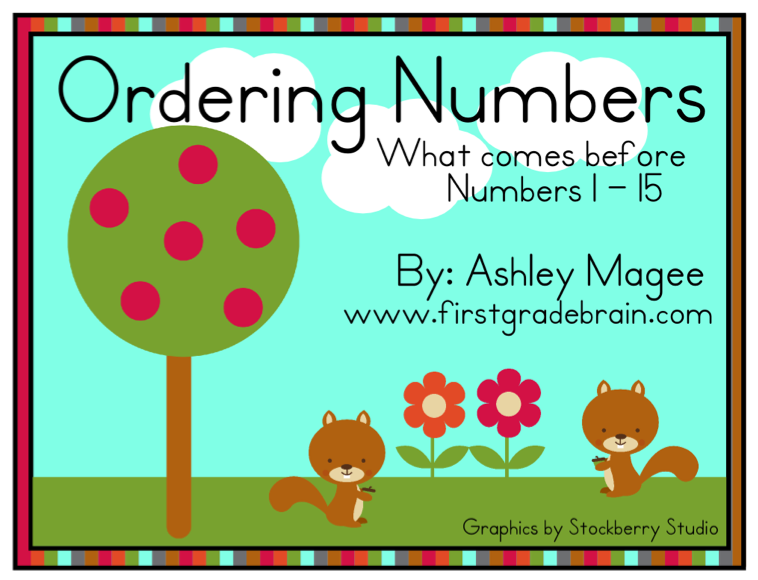 This set is FREE and covers finding what number comes before using the numbers 0 - 15. 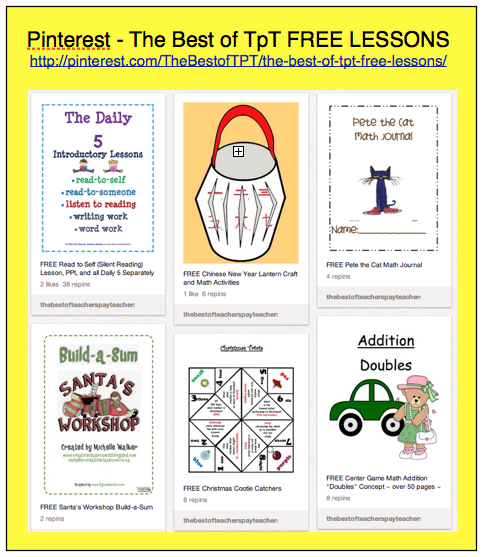 Included in the ZIP file is a PDF with 14 work mats, 14 number cards, and a PDF with 2 worksheets that complement the activity. Directions are included. If you find it useful, please leave positive feedback so that others may discover this product as well! THE DAILY 5, by Gail Boushey & Joan Moser, was written because they feel teaching should not be exhausting. By training children in literacy tasks, they feel students learn habits that help them achieve independence in literacy. 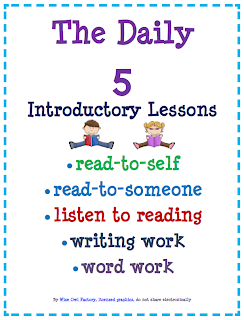 Use of the lesson assumes access to the book, THE DAILY 5, for background information. Several slides are to be completed by the teacher and class as they reflect on their read to self sessions. 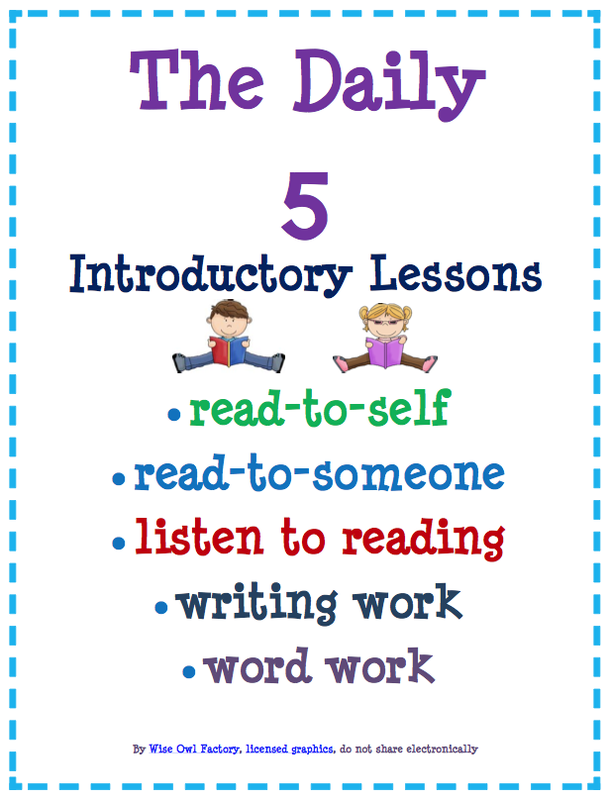 Building stamina in reading and literacy tasks is a big part of the Daily 5. The graphics are licensed through The Graphics Factory. Permission for teachers to adapt as needed for their own classrooms. Just in time for Chinese New Year, which starts on January 23rd in 2012! 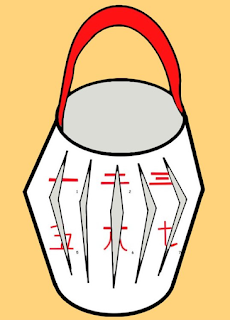 This packet includes directions and printables to make a festive lantern decorated with Chinese characters. 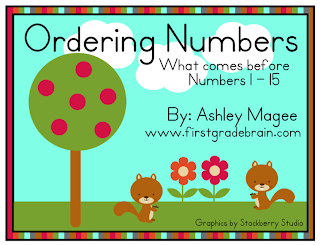 It also has 2 different math activities focused on ordering numbers 1-12 and beginning addition. The craft and both math lessons are provided with 2 levels of difficulty. 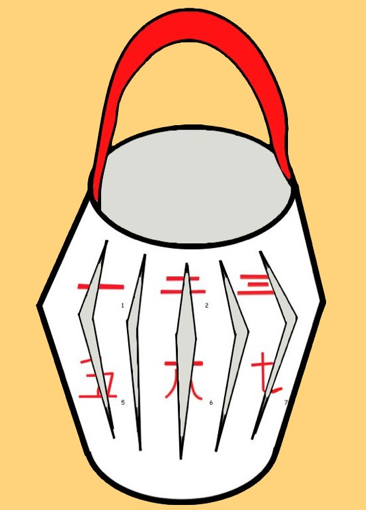 For example, the addition becomes harder for older students when they have to try to remember the Chinese characters! Download this free packet and get started celebrating with your students! 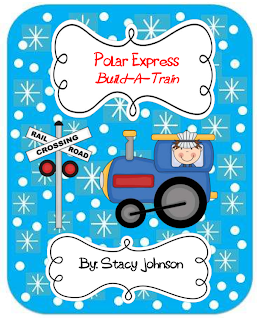 I created this project for incoming first graders. It includes story problems and a few cut outs to assist in solving the problems. Enjoy! To only teacher-authors on the Teachers Pay Teachers' Seller's Forum: Feel free to cut and paste this submission to your blog, website, and/or promotional item...you just cannot sell it for profit. Permission was granted on the Seller's Forum on December 17, 2011...Selling Tips...Freebie Promotion = FREE ADVERTISING! As a 1st grade teacher in a high poverty school, I am always looking for ways to help my students increase their reading fluency, comprehension, and vocabulary. 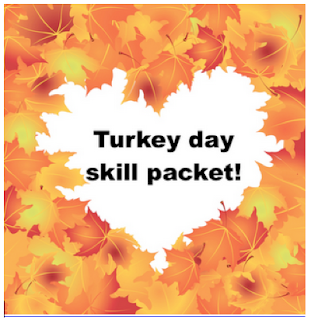 This 5 day packet includes a new fluency passage for each day with "Power Words" to encourage vocabulary development. 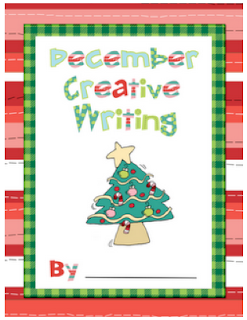 Each passage includes comprehension questions, a parent checkoff section and some other type of supplemental language arts activity. This week’s packet includes two poems, two fiction stories, and one nonfiction passage. This would be beneficial as a general supplement to your reading program, as a reading intervention for higher achieving 1st graders or 2nd graders, or as a take home packet. Thanks for checking it out. 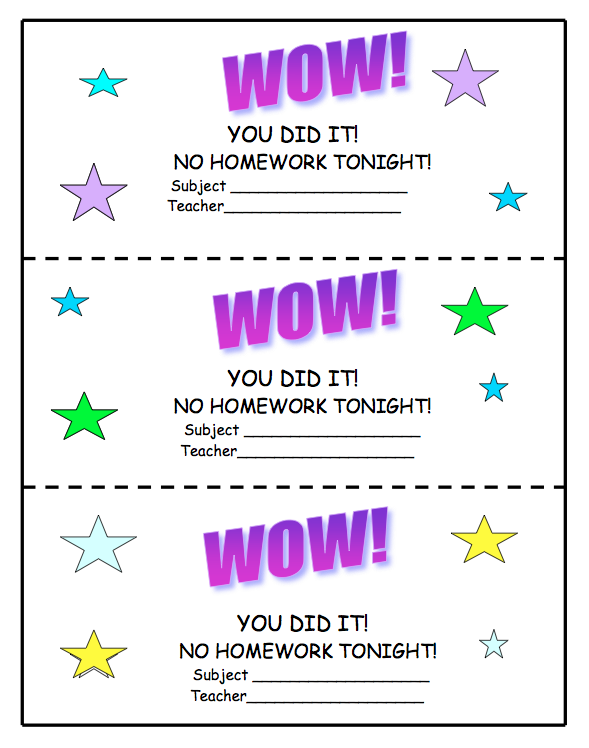 Keep these homework passes handy so that your students can be rewarded instantly! 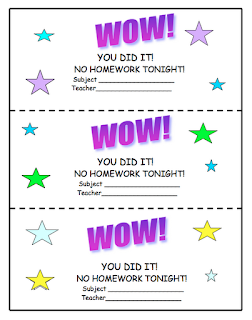 Give them to students who need a little extra "pat on the back" or to someone who has turned in an assignment on time, when that's usually not the case! 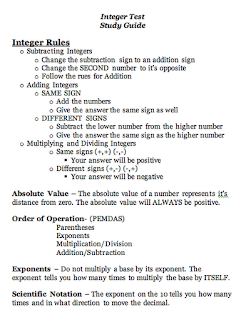 This 1 page handout reviews Integer Rules for Addition, Subtraction, Multiplication and Division, Absolute Value, Order of Operations, Exponents, and Scientific Notation. Also available as part of a bundle! 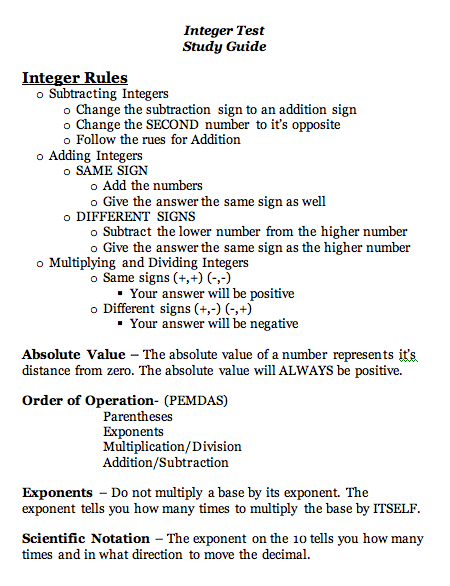 Search for "Integer Operations Lessons and Worksheets Bundle" under my listings! 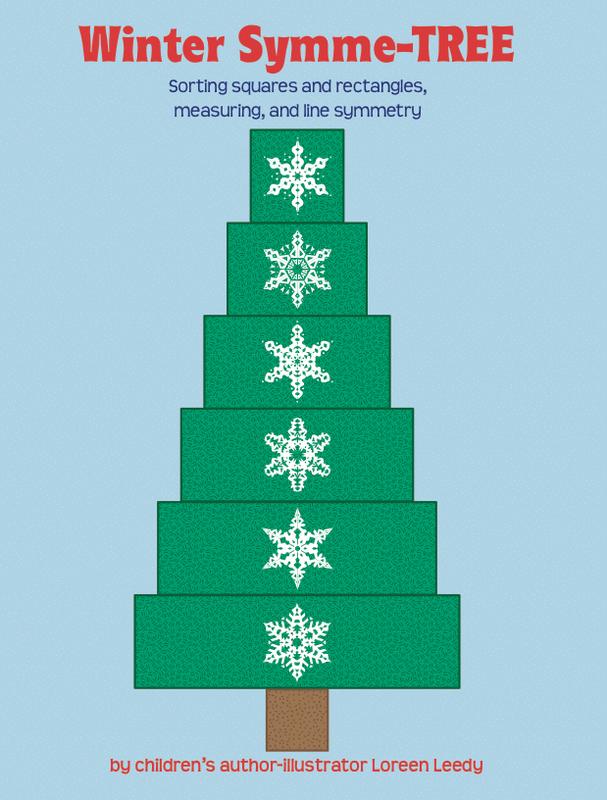 Make a symmetrical Christmas holiday or winter tree out of squares and rectangles with this printable activity. Students measure and mark a line of symmetry on construction paper then cut out, sort, and arrange the shapes. The snowflakes will help them center each shape along the line of symmetry. 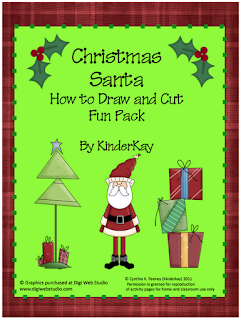 Great for math centers, instructions are included. To hear about new freebies, please 'Follow Me.‘ Happy holidays, everyone! 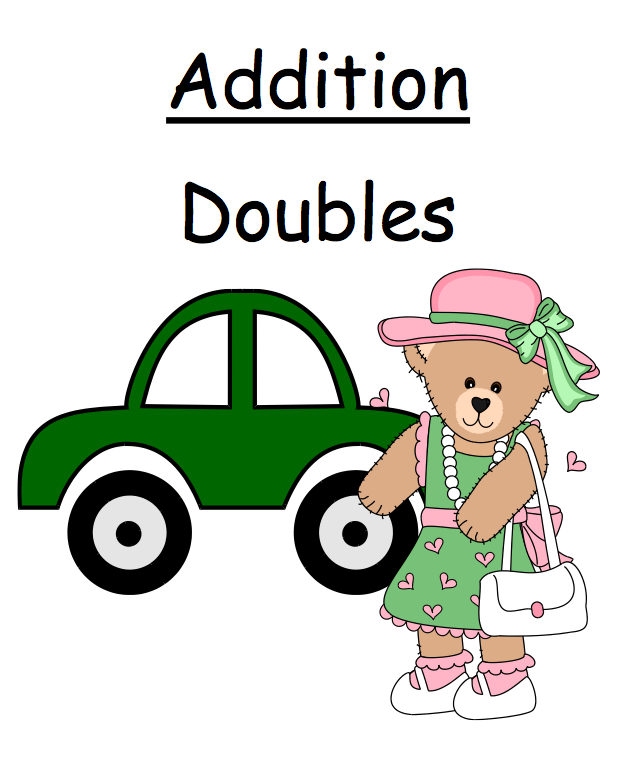 FREE MATH LESSON - “FREE Center Game Math Addition 'Doubles' Concept ~ Over 50 Pages ~ "
* Distinct cover sheet to glue on the folders or place in a Ziplock baggie. * Each theme has two pages of matching problems & answers in color to be cut apart as playing cards or use one page as a game board and one page cut apart as the matching playing cards. ** Extra Bonus! 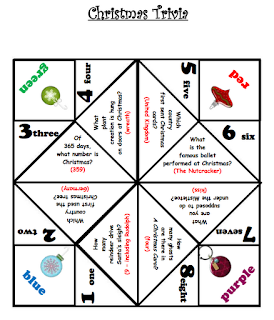 A cover sheet for your students to organize their own folder for individualized center games. 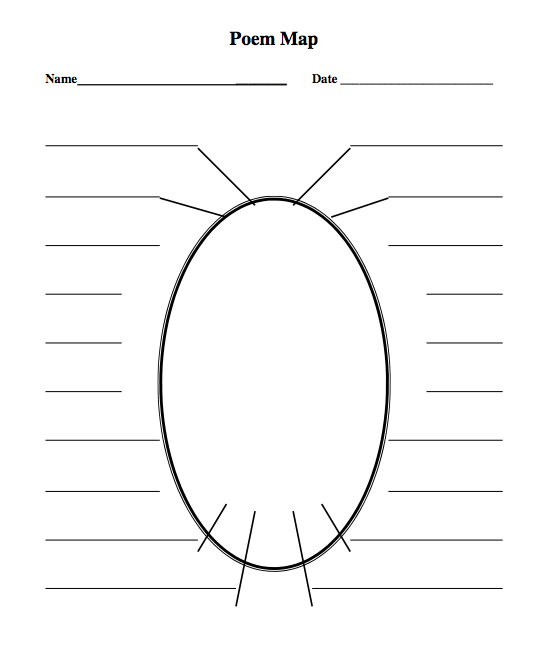 This center game is designed to be printed, cut apart for your classroom, and laminated if desired. It is cute, colorful, and is completely designed to be an independently led student activity. 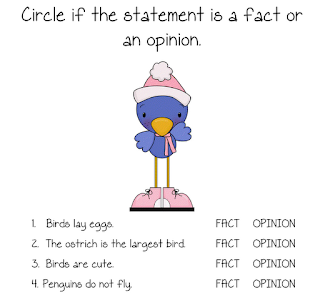 EXCELLENT for when the teacher is working with small reading or math groups. 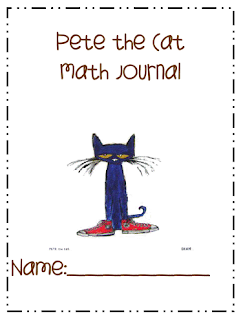 It also contains the ENTIRE file in a black and white version so that you can copy some and send it home as weekly homework. Great for the students to cut out and practice fine motor skills as well as reinforcing the math activity of learning the addition secrets to the "Addition Doubles" Concept! 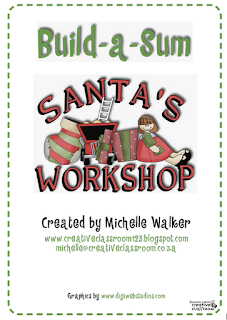 In this fun Christmas activity, two ways for creating a Santa are included. 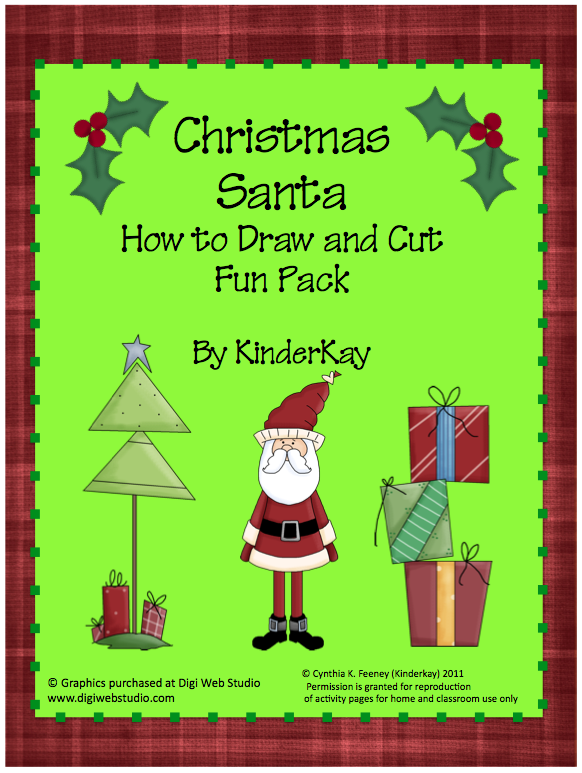 Students may create him following easy step by step drawing directions or they can follow directions for constructing him from cut paper. 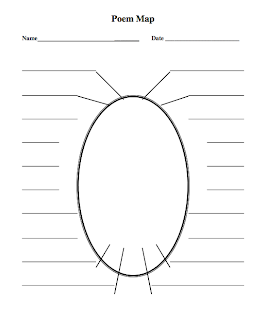 The easy to follow illustrations are laid out in such a way that this activity could either be put into a center or used as a teacher directed activity. 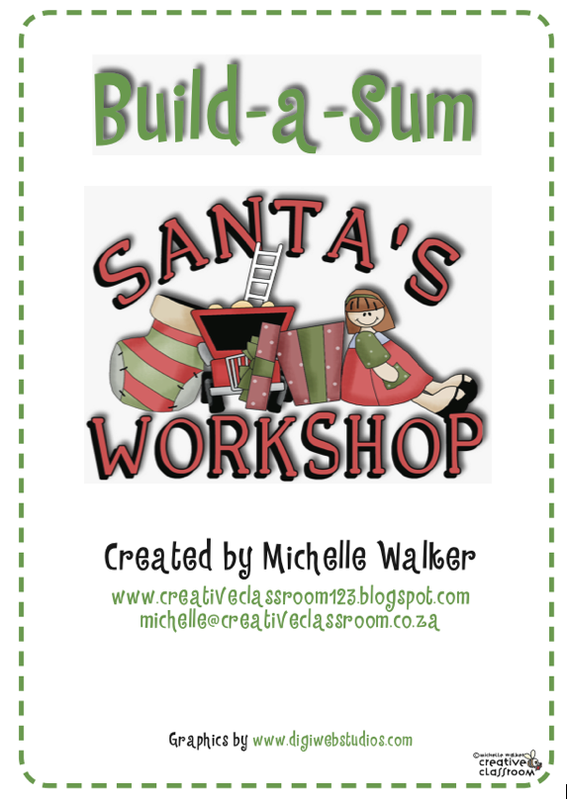 A background paper that students can use to form their Santa upon is included. Students will be proud to show off their work and say I DID THIS MYSELF! I have 18 Candy Land Games available & wanted to offer this one for free to try it out in your classroom. 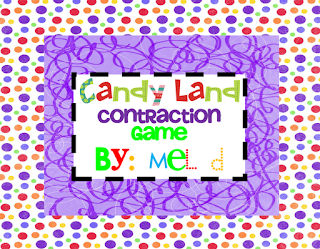 This game includes 57 different contraction words on look-alike Candy Land cards. Have your students say the contraction on the card in order to move. To challenge them they can say the contraction and the full words that make up the contraction. You just need a game board & game pieces. Print out cards on card stock, laminate, cut & use for years to come! My kids LOVE this game! 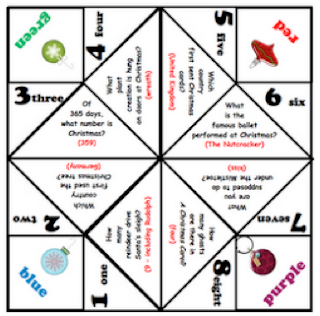 This can be used in a Work Work station in Daily 5 or as a literacy station. This can be used for your at risk, on-level, or advanced students depending on your grade level. 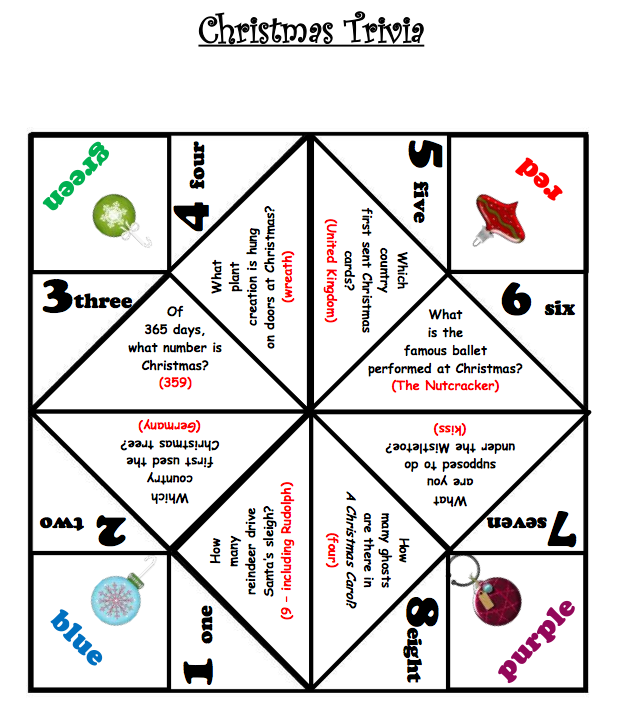 This can be used in an RTI group or larger group depending on how many game boards you have. Print as many games as you want for one class only though. To only teacher-authors on the Teachers Pay Teachers' Seller's Forum: Feel free to cut and paste this submission to your blog, website, and/or promotional item...you just cannot sell it for profit. Permission was granted on the Seller's Forum on December 4, 2011...Selling Tips...Freebie Promotion = FREE ADVERTISING! 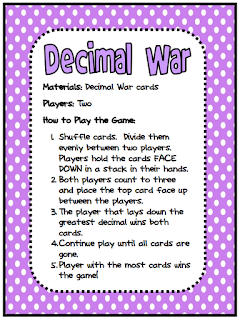 Math game to teach and reinforce the concept of decimals to the tenths. Students play the game similar to the card game War. The player that lays the card with the greatest decimal keeps the cards. 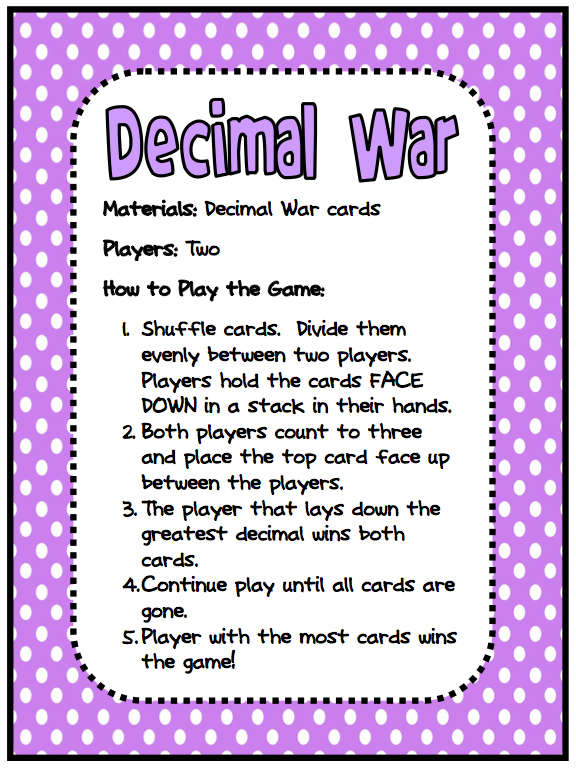 This can also be used as an ordering activity where the students order the decimals from greatest to least. Huntington Drive Elementary School’s grand opening of the Golden State Foods Foundation Computer Lab was on December 1, 2011. Thanks to the Golden State Foods Foundation for donating $49,108.25 to purchase 32 brand new flat screen Apple computers. The grant will enable Huntington Drive to continue the successful Accelerated Reader Program in which students read for one hour after school, four days a week. Golden State Foods supplies food for McDonald’s, Burger King, Kentucky Fried Chicken, Carl’s Jr., Subway, and more than 20,000 restaurants in 120 countries. The Golden State Foods Foundation was established to “improve the lives of children and families in the areas where G.S.F. associates live and work through personal involvement and contributions.” Celebrating their 10th Anniversary this year, the G.S.F. Foundation has given millions of dollars for community projects throughout the United States. They have distributed backpacks and new shoes to students. Two hundred children with physical and cognitive disabilities were given riding lessons on therapy horses. Families who travel far from home to get treatment for their seriously ill or injured children stay at the Ronald McDonald Houses. 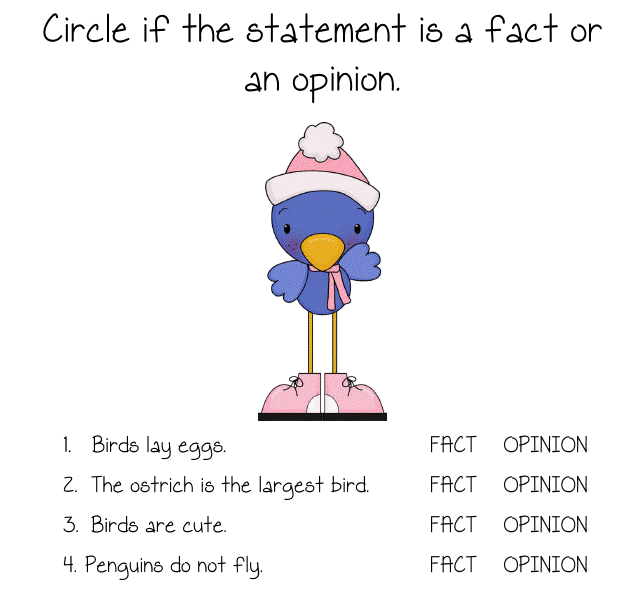 If you would like to write a G.S.F. grant for your school, go to http://www.gsffoundation.org/. Feel free to email Victoria Leon at vleon999@yahoo.com if you would like to know more about the GSF Foundation. This mostly-for-fun holiday activity entitled DECEMBER IN ALPHABETICAL ORDER (Part One and Part Two) combines vocabulary building with December trivia. Students are challenged to use definitions, clues, and research skills to identify a set of terms, titles, and names--the first beginning with the letter A and the last with the letter Z--all of which are connected to December weather, events, or holidays. 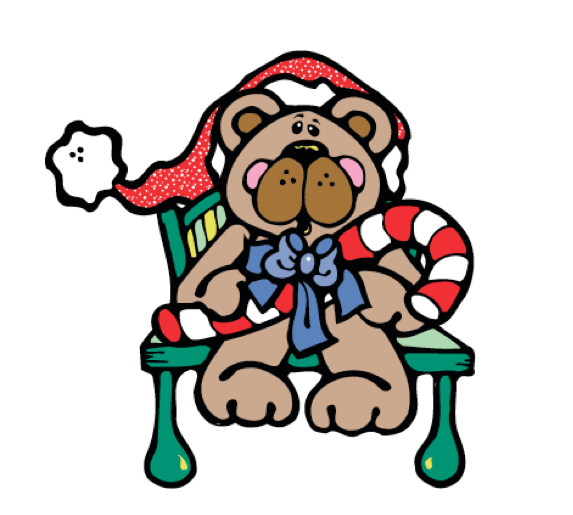 The last few questions in each activity set change themes slightly by focusing on famous people with December Birthdays. There are thirty-three items in Set One and thirty more in Set Two. 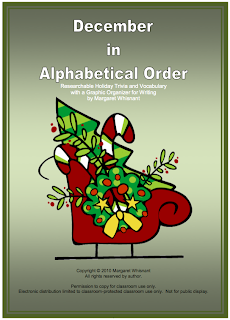 The last page is a bonus graphic organizer for writing based on the alphabetical-order theme. Full answer keys are included for a total of six pages.